The Big Hole is dropping fast already down to 1,270 CFS. It is finally mid summer here in montana and the Big Hole is fishing like it should in the summer. Attractor dries, General nymphs, a few PMD’s, Some Caddis, and a few drakes is all you will need. Running lime trudes, royal wulffs, elk hair caddis, purple haze, pheasant tails, copper johns, and hares ears behind a mid sized chubby is a killer rig. Work buckets, banks, and riffles. As the water warms, focus efforts on the riffles. We are also closing in on Trico time on the Big Hole. These little bugs can be quite prolific and bring better than average fish to the surface. Should be just a week or two! The river is prime for floating and wading right now so get out there and get it while you can! 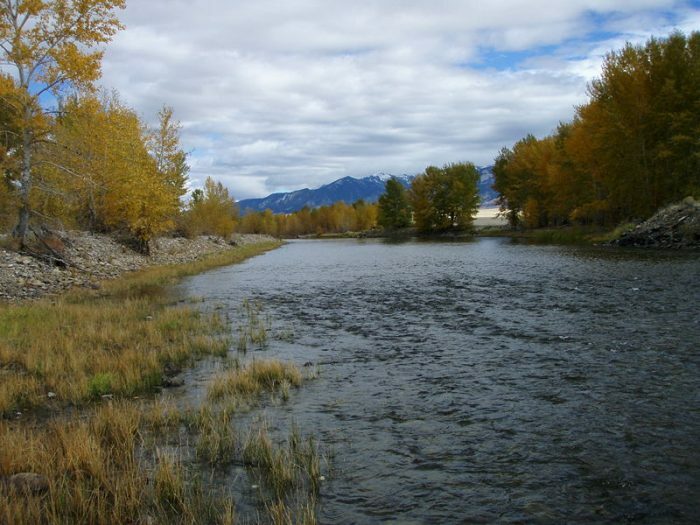 For more information on Montana Troutfitters and to get the water data for the Big Hole River, visit troutfitters.com.